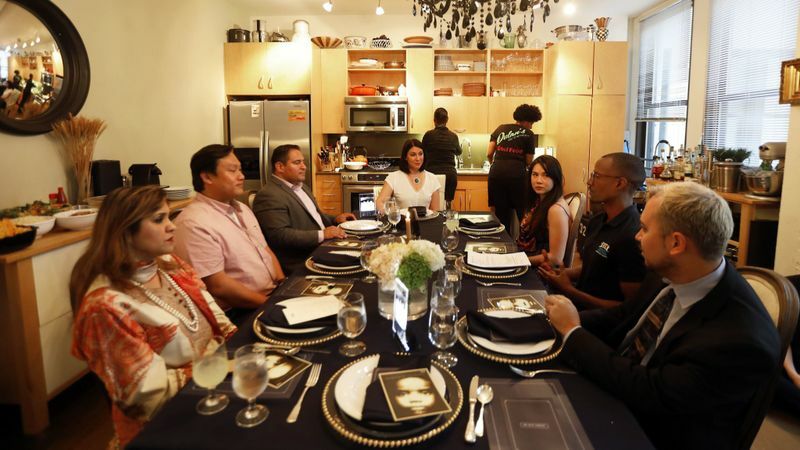 Los Angeles – Earlier this month, Veronica Perez hosted seven strangers at her Downtown Los Angeles home as part of an initiative championed by City Council President Herb Wesson, entitled EmbRACE L.A. Designed to foster more communication and healing around the issues of race and inequity, dinner guests included a Muslim physician originally from Pakistan; a Los Angeles transplant who had lived in Canada and Japan and whose family had emigrated from Taiwan to New Jersey; a bisexual man with Cantonese and Ashkenazi Jewish roots; and their facilitator, an African-American man from Inglewood who led them through a guided discussion. “I’m proud to host and participate in one of the very first EmbRACE L.A. dinners. I believe it is important to have these deep, eye-opening, and sometimes uncomfortable discussions with others to expand your perspective and move to a place of understanding. Los Angeles is so diverse, and we could learn a lot about each other,” said Veronica Perez.